Sports is a very wide industry, which includes parties such as athletes to the media, the focus of tournaments to stadiums and legal matters such as image rights to disputes. 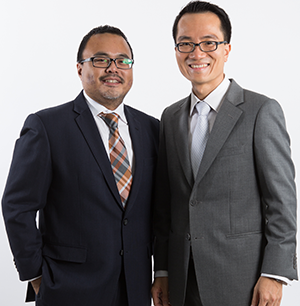 We have a dedicated team advising clients on any sporting matters and was recently awarded the Sports Law Firm of the Year Award by ASEAN Legal Business in 2018. We have the experience and expertise to provide assistance in all sporting matters. Drafted the first Naming Rights Agreement for a Malaysian stadium. Acting on behalf of the nation’s premier sports science institute for on-going lawsuits related to deselected athletes as well as former staff members. Represented and advised a professional football player from the Republic of Argentina with regards to the unlawful termination of a Foreign Player’s Contract by a Malaysian football club and assisted the said football player with his complaint to the Football Association of Malaysia (FAM) Status Committee. Reviewed a Representation Agreement between a Malaysian golf player and a sports management and marketing agency based in the United States which would allow the agency to manage the player’s brand globally. Represented a local body building icon to lodge an appeal to the Minister of Youth and Sports against the body building association’s decision to suspend the athlete after the athlete failed an anti-doping test. Provided a legal opinion to an international football federation regarding the position of law in Malaysia in relation to a cross-border dispute. Advising athletes with regards to their image rights and internal disputes with their respective associations Our team members are frequently invited as speakers all across Malaysia and have spoken numerous times on BFM Radio as well as colleges, universities and State Bars. Conducted a Seminar on Anti-Doping for our international client, Persijap Football Club, which was attended by players, managers, coaches and employees of the club.